2013 and 2014: Endings and Beginnings. Whenever my friends and I go out to sing karaoke (which is a BIG thing here in the Philippines), we end the “session” with Semisonic’s Closing Time. It’s not because we can relate to all the drinking in the verses. We love this song because of this one line. There’s something very poetic and real about this line and I’ve always and will always love it. That line completely sums up my 2013. 2013 was a very tough year for me. Well, it is for most people. My country, in particular, was ravaged by earthquakes, controversies, and *drumroll* the strongest typhoon in the history of the known world… HISTORY OF THE WORLD. I thank God that my immediate family was not directly affected and that my relatives in Aklan, though they lost some of their property, were not hurt physically. This is why I won’t claim that 2013 was bad to me. It wasn’t bad, but it sure wasn’t easy. 1. I had some Health issues. I was attacked left and right. I think I spent more time in the hospital these past three years than I have during the first 22 years of my life. It wears you down. There was also this struggle about my emotional well-being. A lot of things, and people, made me quite unhappy with myself. 2. A big Heart issue. 🙂 This year, I ended my 22-month relationship with a boy masquerading as a man. It was my first and the process was as interesting as it was painful. It was additionally tough because a lot of promises were made and subsequently broken. I promise to write about it next year. 3. I had to leave my job. It was a big change, but it was a change I needed. My job required that I work nights which was extremely hard for me being a morning person. That was also the main reason why I was sick that bad that often. As much as I would like to stay because of the people I worked with, my health needed to be my top priority. 4. My family had to leave our church. This is a relatively fresh wound. I’ve always defined myself primarily based on my church affiliation. I was a pastor’s kid for a good 20 years of my life. I’ve been in ministry for 13 years, more than half of my life. To have all of these snatched away because a group of people wanted to further their own unspeakable goals wasn’t something I thought possible. Again, I will write about it in detail next year. 5. I lost a whole bunch of friends. When everything came spiraling down, it was revealed that most of the people I trusted and loved don’t feel the same for me. I heard of betrayals, of some of them spewing out lies and fantastical stories that make me out to be an evil person. I didn’t lose these ones who I obviously never had. I lost even those who listened and believed them. All these came one after another. I went through a very dark time. It got so bad that I barely left my room, barely spoke, barely moved at all. If it weren’t for the handful of people who stood by my side and refused to let me slip away, I wouldn’t be here at all. I realized that even if scores of people, most of them I once called friends and family, accuse me of things, call me names, and judge me, I still have a choice on who to listen to. I chose to believe the people who really loved me. That kept me going. I started The Grateful Project this year. 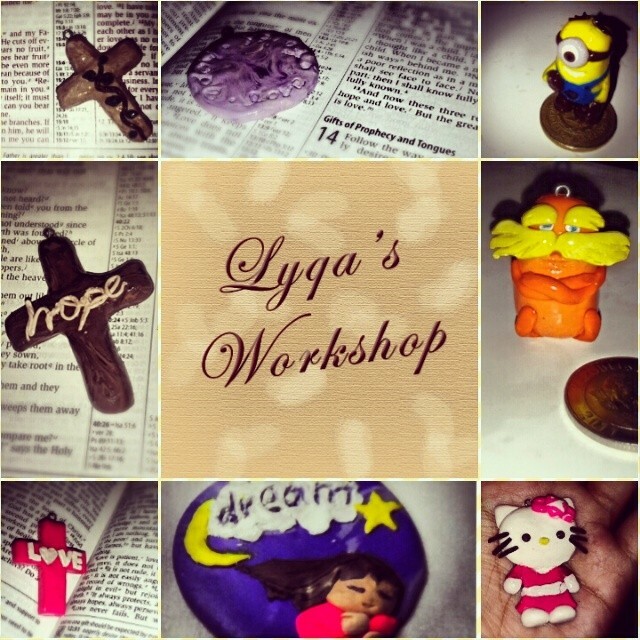 Basically, I kept track of the encouragements, the achievements, and the blessings that God threw my way. This helped a lot. Whenever I started being unhealthily discouraged, I turned to these. Here’s a few. 1. My Christian Drummer Girl Youtube Channel. 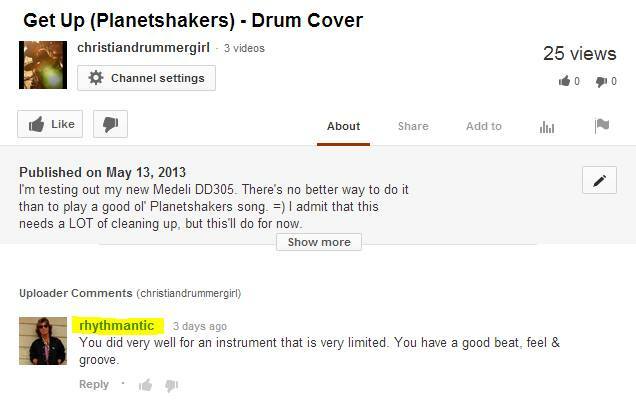 One of my drum heroes, rhythmantic, watched my drum cover and took the time to commend and encourage me. I jumped up and down like a proper fangirl when I saw this. 2. 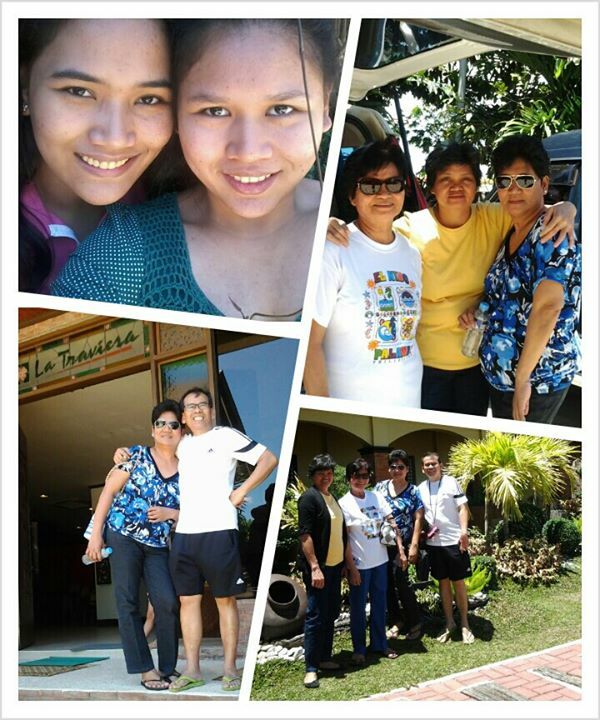 I was able to take my family out for a weekend getaway. This has always been one of my dreams as a kid. I’m glad I had enough resources to do it this year. 3. I had room and wardrobe updates. 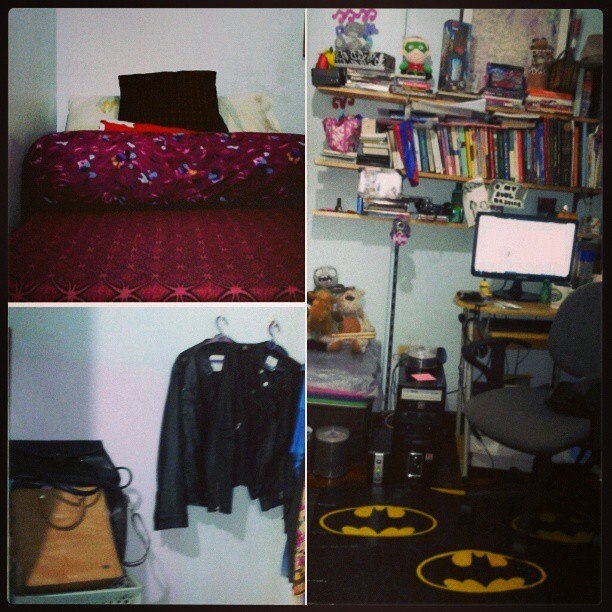 I have shelves of books, a new PC, a whole panel of Minion Tim figures, and a Batman mat and Lego figure. This is the first time that I had this much freedom to “own” my own room and I love it. I also dared to dress in leather. Yep. I always wanted to have leather boots and jackets. But the warm weather in the Philippines and the fact that they were always hard to find in my size made it next to impossible. But nope! Not this year! 🙂 I now have two jackets, one vest, and 3 pairs of boots at my disposal (I wrecked one of them playing Dance Revolution). 4. My blogs received a bit of recognition. Faithful Devotions hosted one of my blog posts from My Two Cents On. This made me so happy because it gave my blog site a bigger international audience. 5. I went back to one of my first loves, sculpting. I launched a small home-based polymer clay shop. You can take a look at some of my pieces here. 6. I am closer to my younger sister. This is the closest we have been in our lives and I have all the problems listed above to thank. I’m not posting a picture because she probably won’t like it. 7. 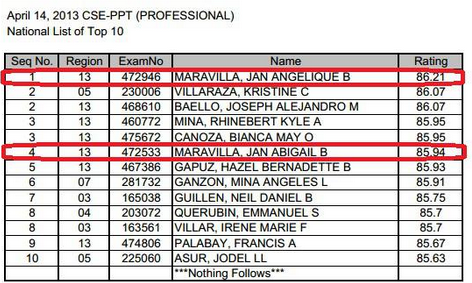 I was ranked 1st nationally on the CSE-PPT Professional Level Exam. It was totally unexpected. I took the Civil Service Exam just to fulfill all righteousness. When we found out that we passed, I was happy enough. When someone told my parents that my twin sister and I were in the top 10, we laughed at him. I didn’t even bother to check. It wasn’t until the “rumor” started spreading that I decided to ask Google. I was speechless when I saw this. I still wasn’t buying it so I looked for the official list and found this. All of the glory belongs to God. Weighing all of these things, I can sum up my 2013 in one word – FREEDOM. This is the year that set me free from the people and things that held me back from achieving the things that God had in store for me. I clung to what I thought was stable and practical. At the beginning of the year, I had a “safe and proper” romantic relationship, I had a stable job, I had a “good” church which anchored me in the same safe spot I’ve been in for years. I always thought that I could leave whenever I wanted to, I thought I could follow God when He tells me to branch out. This year revealed that I wasn’t as brave as I thought I was. This year, God showed me that I was just like all those tiny eaglets who needed a good push to leave the nest and learn to fly. When I was in the thick of it, I was so scared that I would start 2014 with nothing. Now that 2013 is really ending, I know that’s wrong. I’m starting 2014 with fewer things and fewer friends, yes, but that just makes for less baggage as I launch out into the world. I may not have a lot, but I have enough. I will not trade the few that I have for all those meaningless things and relationships that I had last year. This year, I’m going to follow God’s will for my life and my life alone. I refuse to be held back by anyone including myself. 2013 may well be the year of endings in my life, but it’s also the year of brand new beginnings. I’m the happiest I’ve ever been in my whole life. Thank you, Lord, for this past year.